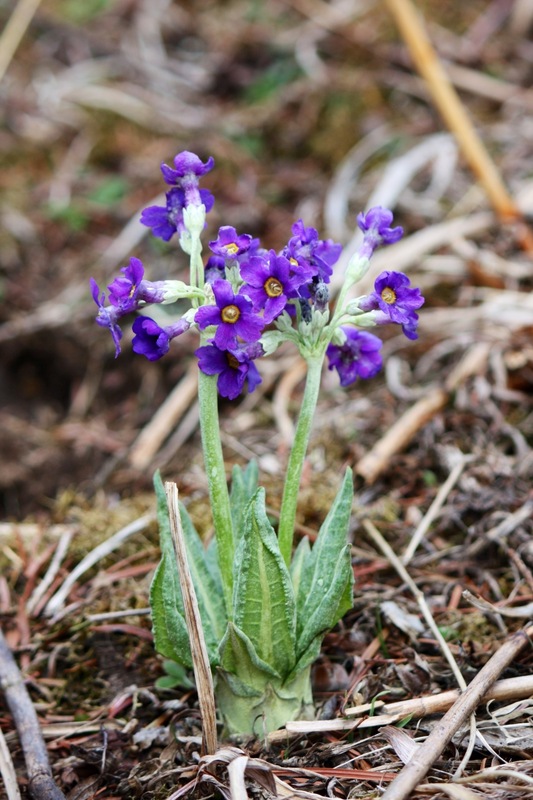 Today’s little Bhutanese gem is Primula calderiana. After a visit from the Thunder Dragon himself last night (i.e. a very dramatic thunder storm), the air was clear and fresh for our trip to Chele La. Just where the last snow was melting, the endive-like young leaves of this primula pushed up through the ground. Overwintering as a large resting bud, it’s able to get off to a speedy start, but needs moisture, shade and humus-rich soil to work its magic. According to the Alpine Garden Society, the whole plant smells unpleasantly of fish. Thank goodness then for my zoom lens! Where can I obtain seed of this beauty? Tricky. Only Kevock Garden Plants are listed as a stockist in the UK. You could pay a visit to Bhutan? I can recommend it!